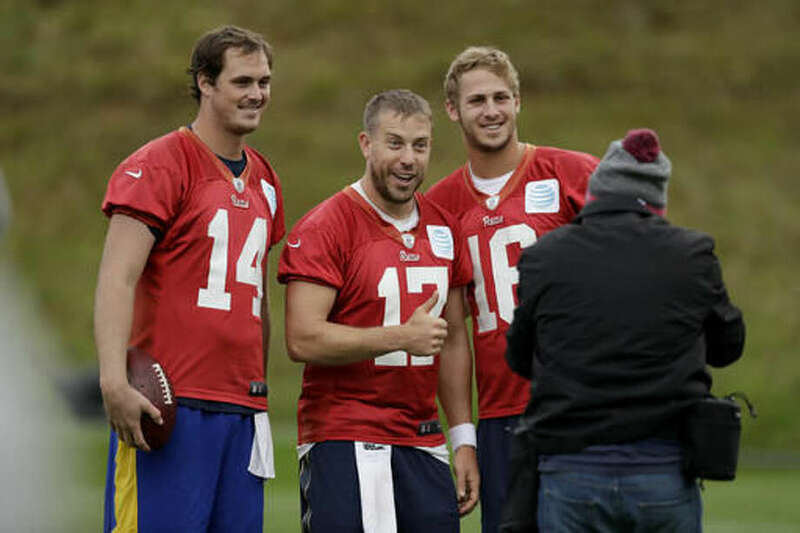 An outstanding American football quarterback, Sean Mannion has shown impressive exploits at the Los Angeles Rams of the National Football League (NFL) where he has played since 2015. The talented player started out in high school and has maintained his records over the years. Mannion was drafted by the Rams in the third round of the 2015 NFL Draft with the 89th overall pick. It will be interesting to find out what he has been up to as well as more about his life and progressive career. He was born Sean Thomas Mannion on April 25, 1992, in San Jose, California. Mannion started from a young age to exhibit great tenacity and strength. He attended Foothill High School in California and participated in various games in the school. He played baseball, basketball, and of course football while in the school. Dwelling on his football stint, Mannion, in his first year as a starter, threw 3,521 yards and recorded 27 touchdowns. At the end of his high school education, he got offers from various universities including Washington State, San Diego State, San Jose State, Oregon State, and UCLA. He ended up choosing Oregon State over the others and joined the school’s football team, the Oregon State Beavers, in February 2010. In his freshman year in 2011, he was redshirted. As a starter, the quarterback recorded 305 passes for 3,328 yards, 18 interceptions and 16 touchdowns as a redshirt. In the 2012 season, he made 200 passes for 2,446 yards, 13 interceptions, and 15 touchdowns. He was quite impressive in 2013. He finished the season with 4,662 yards passing and 37 passing touchdowns. His good records kept him as the starter for the team in 2014. He recorded incredible passing touchdowns and led in career passing yards, placing him on top and above the popular Derek Anderson. After his college career, he underwent his pre-draft test after which he was rated as the sixth best quarterback. Sean Mannion was selected in the 2015 NFL Draft, 89th overall in the third round. He was a string quarterback in the team, behind Case Keenum and Nick Foles. In the 2016 season, Mannion who was the second string backup quarterback fell back as the third-string backup after Jared Goff took over the position. He was later elevated once again to second-string towards the end of the season. In the subsequent seasons, the quarterback, though not as impressive as before, is working hard to get back on track. 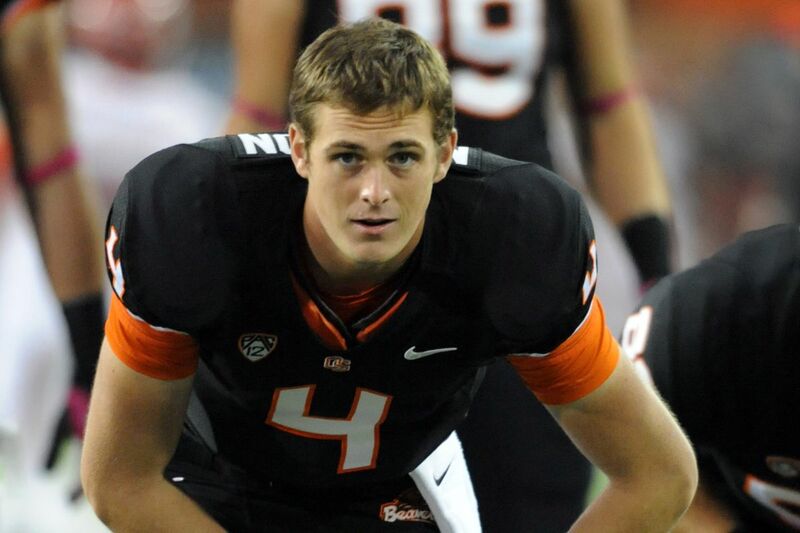 Sean Mannion was born to his parents; John Mannion, his father and Inga Mannion, his mother in Pleasanton, California. Sean must have gotten his sporty traits from his father who was the head football coach at Silverton High School in Oregon. John Mannion has spent a greater part of his life coaching various football teams. Mannion left the city of California to Silverton where he coached for seven years and made impressive records for the team. In 1996 he became a coach at Sean’s Foothill High School in Pleasanton and won four sectional championships, as well as eight leagues for the team before he was made head coach in 2007. Sean often describes his father as his role model and accords him great respect for the impact he has in his life. Sean Mannion may seem so entangled with his football career, but the quarterback has got another life away from the field. He is married to Megan Lopez. The couple got married in a private wedding ceremony with family and friends present in Oregon, 2016. The happy couple has been together since then. Sean and Megan dated for many years before deciding to tie the knot. When talking about girlfriends, Megan is the only name that keeps popping up when Sean Mannion is mentioned. The girlfriend-turned-wife has been around for quite a long time and the duo indeed, have really come a long way. The NFL player has got quite the height he needs for his quarterback position. He stands at a tall height of 6ft 6in (1.8m) which is quite proportional to his weight of 105 kg. Supporting his tall height are his longs arms and legs which he constantly puts to good use on the field.